Sartobind STIC® PA removes contaminants at high salt. Salt-tolerant interaction chromatography (STIC) with PA ligand is based on anion-exchange chromatography (AEX) principles. AEX is the established method for removing process-derived contaminants such as host-cell proteins (HCP), DNA, endotoxins, and adventitious and endogenous viruses. It is performed during the downstream processing of monoclonal antibodies (mAbs) in flow-through mode. 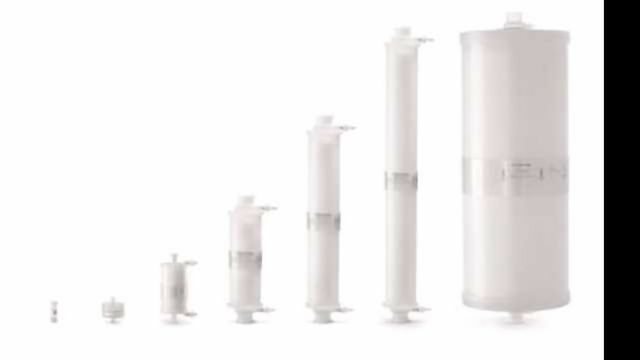 The process is driven by throughput and not by mass, and thus membrane chromatography (MC) is advantageous over columns for contaminant removal, as membranes run up to two orders of magnitude higher flow rates. Membranes are easy to operate and can be disposed of after one use, just like filters, to save on validation cost.